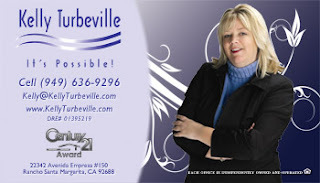 PORTOLA HILLS LIVING by Kelly Turbeville: Kelly does it again...18950 Canyon Summit SOLD!! 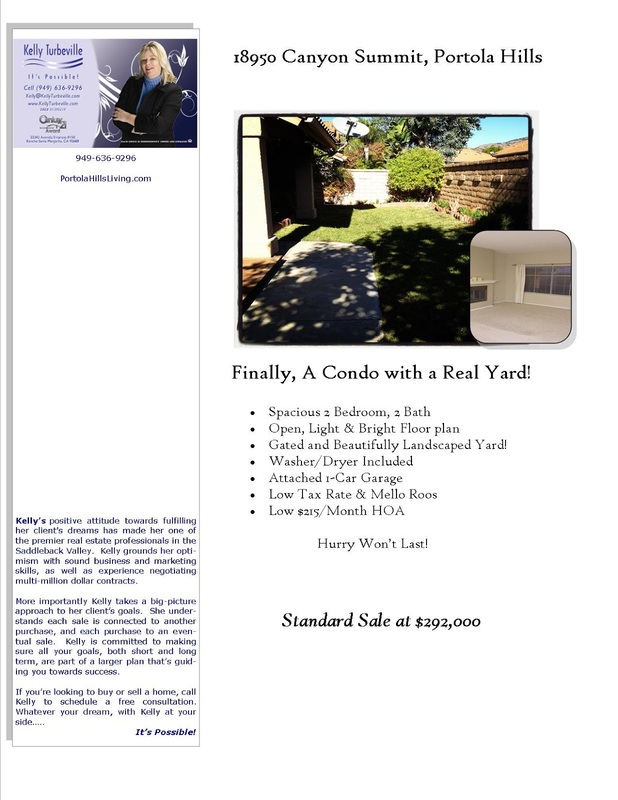 Kelly does it again...18950 Canyon Summit SOLD!! This is the way I like January to start out, set's the tone for a good business year. Our listing in the community of Portola Hills at 18950 Canyon Summit, Trabuco Canyon 92679 just closed escrow and I have a happy home seller and lovely couple has their 1st home! To give you an idea about the current market, this home was a 1000 sq. ft. Condo, listed for $290k. We received multiple offers within the first 3 days on the market and settled with a 1st Time Buyer, at a price of $300k. Yes, that is $10,000 over asking and we closed in about 35 days from start to finish! When I look at real estate comparables it always makes me scratch my head why one home sales at one price and others are listed or selling at a lower price or not moving at all? That was the instance with this listing. Understanding the local market, which includes properties available, style etc is key to getting you the right price. If you are wondering the same thing, give us a call and let us review with you our strong marketing program that has consistently helped our clients receive multiple offers and over the market sales price. The current real estate inventory is especially low at the time of publishing this as there are just 3 homes on the market. If you are considering a move....Opportunity is knocking.... Give us a call!